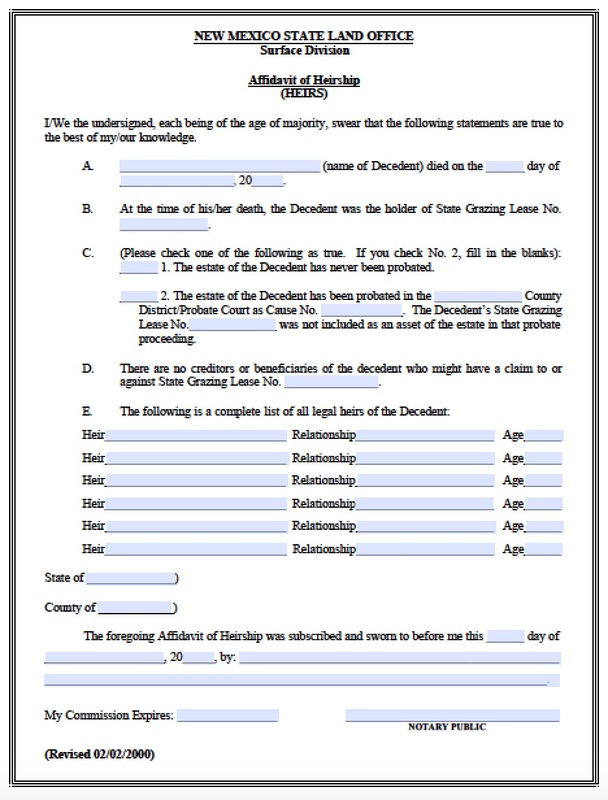 Per New Mexico statutes Section 3-1204 [45-3-1204 NMSA 1978], a decedent who owned property in the state and does not leave a last will and testament will either have their real estate sent to probate court, or heirs may file a small estate affidavit to claim the property as long as the value is $30,000 or less. 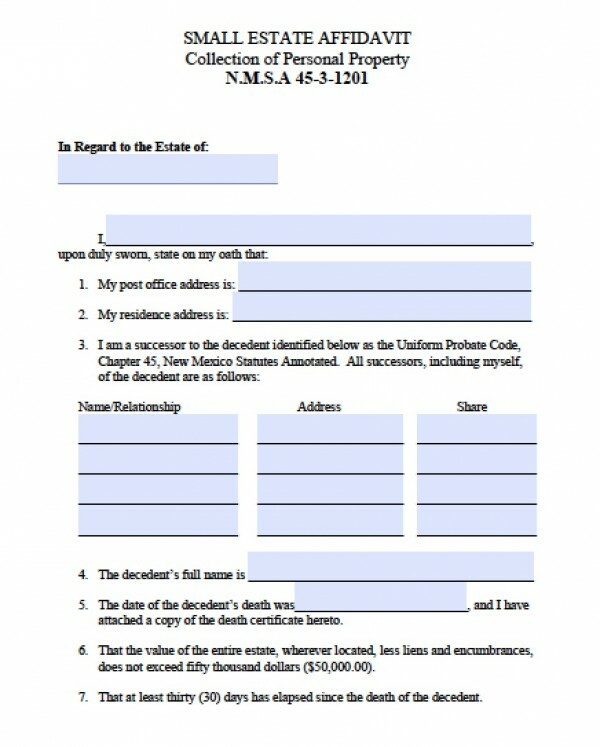 The home, land, or homestead title will be transferred to the heir or heirs who file the affidavit. 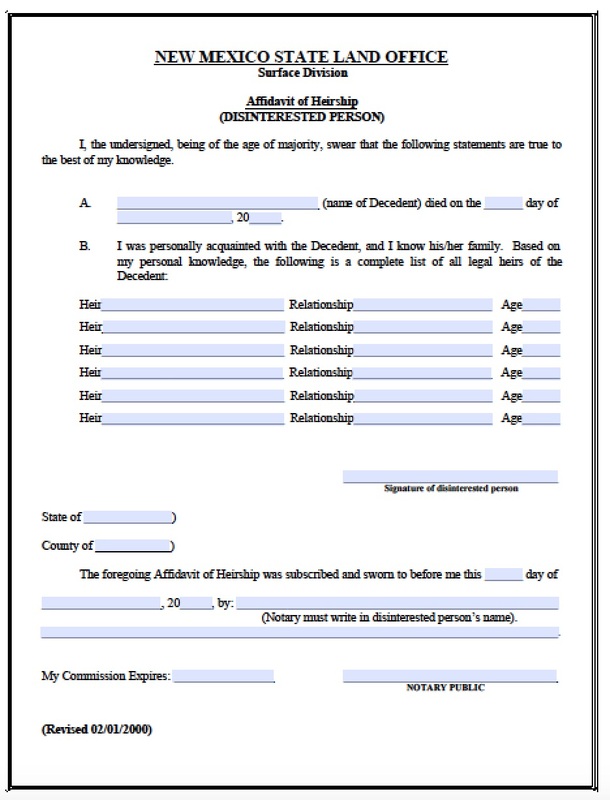 This form may be filed up to 2 years after the decedent’s passing.